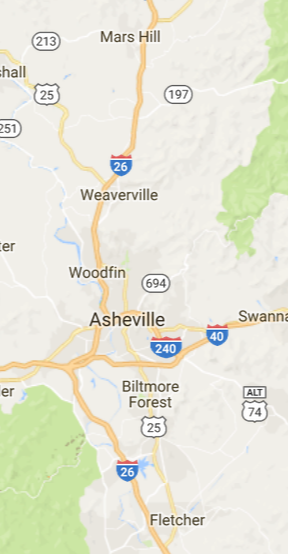 Even in our heavenly Asheville climate, we still get the occasional mosquito or bumblebee, which is why it's important to keep your screen doors and screened-in porches in good repair. Whether you want someone to repair or replace an existing door, or enclose a porch, we're glad to help. 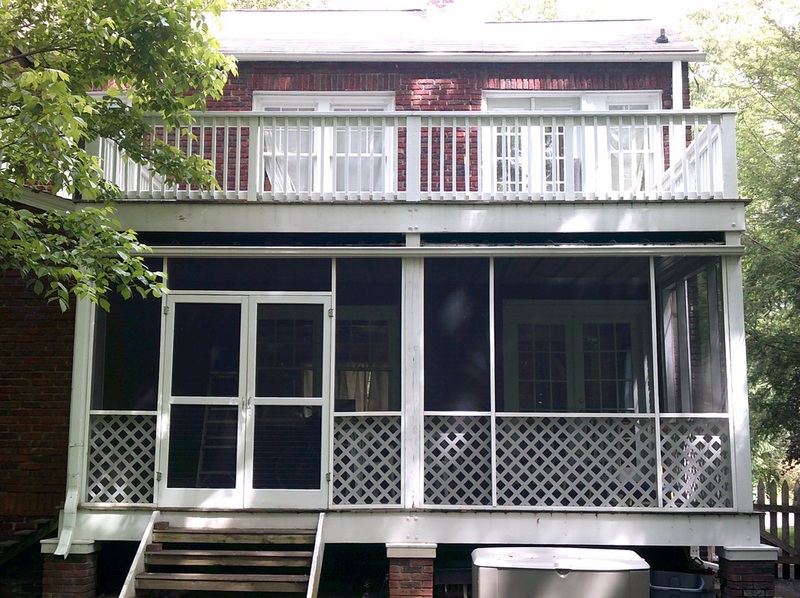 We can also paint your porch trim and help prevent future mildew build-up, which can be a problem in shady back yards. Another common challenge with screen doors and screened-in porches is damage from pets and small children. 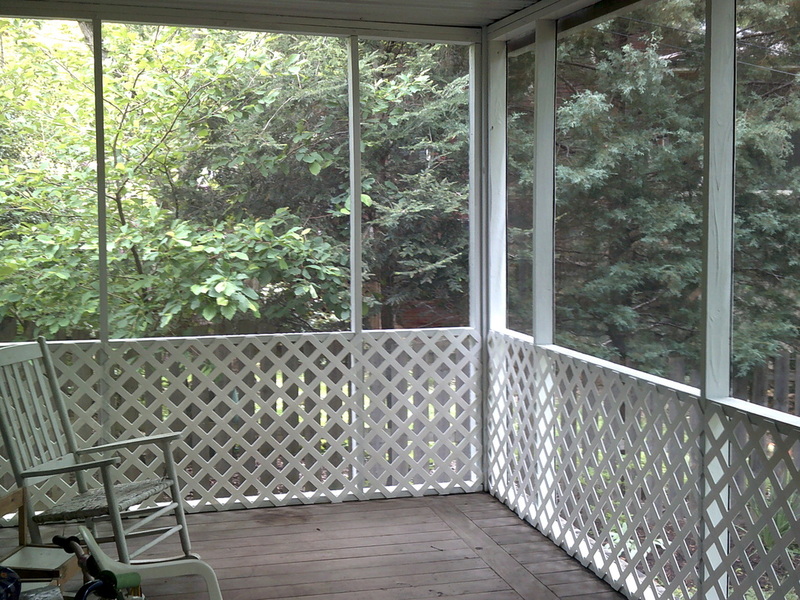 We can add lattice to protect the lower part of the screen and make the porch safer for your loved ones. If you're ready to open your doors and let the breeze in, call us for a consultation. We'll be glad to help. Most repairs to individual doors and window screens are an add-on service. Due to our minimum service charge, we recommend bundling these small repairs with other projects in order to get the best value. A new screen will improve the view, too!